The spoken word belongs half to he who speaks, and half to he who listens. – French proverb. Communication is a natural and unavoidable process – whether we interact verbally or nonverbally. Formal oral communication is improved through an understanding of the communication process, and by learning how to organize and manage the information we deliver in professional or public settings. The introduction of this course uses contemporary communication theory to outline the communication process: touching on our ability to improve personal and professional relationships using effective interpersonal communication. Building on this foundation, the course provides a step-by-step focus on the development, and delivery of effective group presentations and a model for public speaking. To highlight the crucial reciprocal aspect of oral communication, students will also consider the role of the listener. This integrates the practice of planning and delivering a presentation, with analysis and evaluation of the presentation techniques of other speakers. Good communication skills are beneficial in every setting. 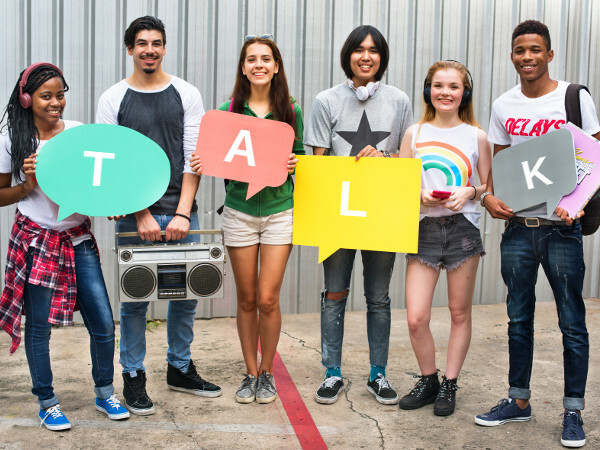 Effective oral communication skills enrich a speaker’s personal and professional life, and provide opportunities to influence those around us and in the outside world. Students are armed with a knowledge of theoretical principles, the rigorous standards for ethical information development. Students hone their research skills in learning how to provide evidence to support a thesis, claims, and issues presented and develop the ability to use careful, reasoned analysis, and critical thinking. Speakers gain self-esteem and build credibility with thoughtful preparation and practice. All of us are faced at many times in our lives with delivering a message in a casual or formal setting. Students learn from their first oral presentation, and from subsequent oral presentations, that the anxiety and challenges diminish when one really have something to say, and a good model for organization of the information. This important insight helps students who are fearful or self-consciousness when speaking to a small group or a larger crowd of people. Soaking up more information than you need during the research phase of preparation on the topic is one resolution. Practice and preparation as well as an absorption with a topic for presentation makes a speaker excited to share his or her knowledge, and steals away the self-focus, putting it where it belongs, on the subject matter and on the speaker’s interaction with the audience.